By 6pm we should have everyone ready to go! We'll be meeting here with the majority of the community workshop participants. 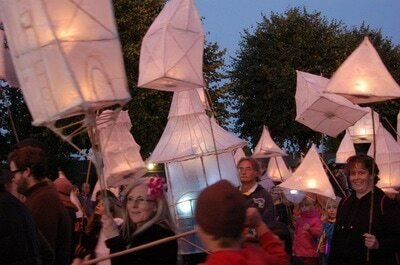 The lanterns will be processing slowly down Bath St, led by Jamma de Samba. 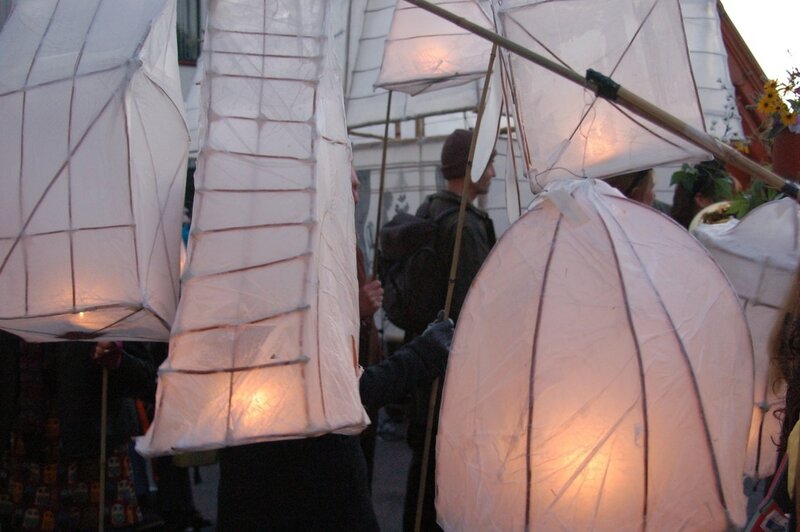 We will all come together in the Market Place where the lanterns can surround and mingle with the crowd. The lights will be switched on at 6.45pm and the Samba band will play again after this; do stay to enjoy the music! 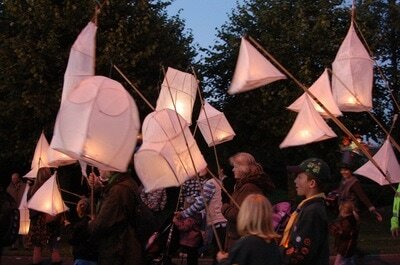 There will be Marshalls from FromeTown Council & Home in Frome wearing hi viz jackets to look after the procession. ​If there is a problem you can ask them for help.